We mark the anniversary of the 1989 École Polytechnique massacre, where 14 young women, mostly engineering students, were singled out and murdered because they were women. One of the victims, Maryse Laganière, was a CUPE member who worked at the school. 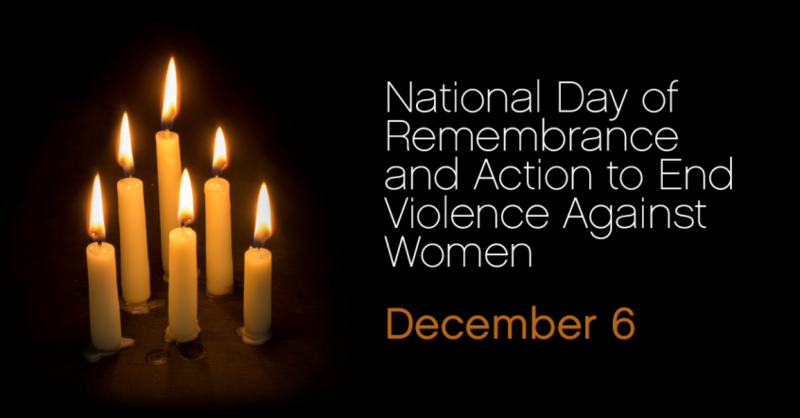 We also remember the missing and murdered indigenous women, the transgender people and all the others in our communities and around the world who have lost their lives to gender-based violence or who continue to experience it. Nearly thirty years after that December day, we pause to think about the work that still lies ahead. “First mourn, then work for change” – that is the call to action inscribed on the December 6th monument in Riverview. Everyone has a responsibility to examine their own behavior and speak out against aggression. We must also tackle the deep-rooted systemic inequalities that increase women’s vulnerability to violence. Survivors need stable employment, a living wage and income supports, access to quality child care and mental health services and so much more. One step in the right direction in 2018 is the introduction of a new leave of absence in our provincial employment standards law for survivors of domestic, sexual or intimate partner violence. 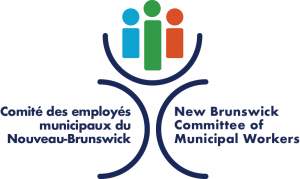 As of September 1st of this year, New Brunswick workers are entitled to five days of paid leave if they, or their child have experienced this type of violence. The labour movement and community groups had pushed for this new protection that recognizes this violence as a workplace issue. What can you and your local do to make a difference? BATHURST: Commemorative Walk and Action on the importance of healthy relationships, Thursday, December 6, at 12:15 p.m. The walk will start at the Bathurst Youth Center, will proceed to the Hatheway Ford dealership and return to the Bathurst Youth Center. People are encouraged to stay after the walk for refreshments, to talk to interveners and to get information on healthy relationships and similar topics. For more information, phone (506) 545-8952 or email womenoutreach@gmail.com Organized by Outreach to Women and Families Victim of Violence, Maison de Passage House Inc., Bathurst Youth Centre & Nepisiguit Family Services. FREDERICTON – Memorial ceremony, Thursday, December 6, noon to 2:00 p.m., University of New Brunswick – Fredericton campus Head Hall Auditorium, 15 Dineen Drive. Organized by UNB Diversity Within Engineering. RIVERVIEW – Commemorative event, Thursday, December 6, 6:30 p.m., Fr. Dan Bohan Centre, 5 Fatima Drive (next to Riverview Town Hall), followed by a candlelight vigil and laying of the roses at the monument at Caseley Park. A special collection of women’s personal care products will be collected at the door. Organized by the December 6th Committee of the Moncton and District Labour Council. For more information phone (506) 852-9609. SAINT ANDREWS – Commemorative coffeehouse, Thursday, December 6, 6:30 p.m start, NB Community College, 99 Augustus St., hosted by the Charlotte County Abuse Prevention Network and the NBCC. For further information, phone Charlotte County Community Outreach at (506) 469-5544. SAINT JOHN – Memorial, Thursday, December 6, 6:00 p.m. start, Mary Oland Theatre in NB Museum, Market Square. Speakers will address issues facing indigenous women and Muslim women, transgender people and labour perspectives. Representatives from FEM (Feminist Empowerment Movement), SART (Sexual Assault Response Team) and Coverdale (Centre for women in conflict with the law) will also be present. The memorial will end with a short candle-lit walk to Loyalist Plaza. For more information, contact Chris Doran at (506) 648-5729 (doran@unb.ca). SHIPPAGAN: Walk against violence, Thursday, December 6, departure at 12:45 p.m. from the Shippagan campus of the Université de Moncton. Before the Walk: Kiosks, 10 a.m. to 3 p.m.; Christmas lunch, 11 a.m. to 1 p.m. The Silent Witnesses from the Acadian Peninsula will be present. No registration required, free admission, everyone is welcome. For more information, contact Émilie Haché, phone (506) 395-7632 or email tablecontrelaviolence@gmail.com Organized by the Table de concertation pour contrer la violence familiale et conjugale dans la Péninsule acadienne and the Comité permanent de la situation féminine de l’UMCS.